Bone marrow is a viscous tissue that resides in the confines of bones and houses the vitally important pluripotent stem cells. Due to its confinement by bones, the marrow has a unique mechanical environment which has been shown to be affected from external factors, such as physiological activity and disuse. 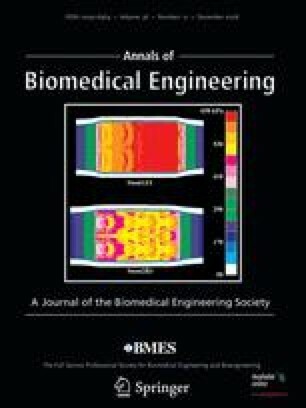 The mechanical environment of bone marrow can be defined by determining hydrostatic pressure, fluid flow induced shear stress, and viscosity. The hydrostatic pressure values of bone marrow reported in the literature vary in the range of 10.7–120 mmHg for mammals, which is generally accepted to be around one fourth of the systemic blood pressure. Viscosity values of bone marrow have been reported to be between 37.5 and 400 cP for mammals, which is dependent on the marrow composition and temperature. Marrow’s mechanical and compositional properties have been implicated to be changing during common bone diseases, aging or disuse. In vitro experiments have demonstrated that the resident mesenchymal stem and progenitor cells in adult marrow are responsive to hydrostatic pressure, fluid shear or to local compositional factors such as medium viscosity. Therefore, the changes in the mechanical and compositional microenvironment of marrow may affect the fate of resident stem cells in vivo as well, which in turn may alter the homeostasis of bone. The aim of this review is to highlight the marrow tissue within the context of its mechanical environment during normal physiology and underline perturbations during disease. We would like to acknowledge Dr. David C. Van Sickle for inspiring discussions and providing the histological figure of bone marrow; Sharon Evander and Carol Bain for their help in preparing the histological figure for publication. Davis, L. B., and S. S. Praveen. Nonlinear versus linear behavior of calcaneal bone marrow at different shear rates. In: American Society of Biomechanics Annual Meeting, Blacksburg, VA, 2006. Available from: http://www.asbweb.org/conferences/2006/pdfs/304.pdf. Osteoporosis - Fast Facts. 2006, National Osteoporosis Foundation, http://www.nof.org/osteoporosis/diseasefacts.htm.